On January 14, 2016, South Africa take on England at the Wanderers Stadium in Johannesburg - this is something that happens only every 5 years or so, and on this occasion it will have been 6 years since the last one. The Bullring, as the stadium is affectionately known, has staged some entertaining contests over the years even when they were one-sided. Here's a summary of how these matches have gone down since the Bullring's refurbishment in the early 1990s. Hundreds from Gary Kirsten and Brian McMillan and a fantastic team bowling performance helped South Africa set England a massive 479 to win. Only Dominic Cork, who picked up 9 wickets in the match, threatened across both innings for England. Needing to survive just over 5 sessions, a draw wasn't beyond the realm of possibility, but at 145/4 on the fourth day, it didn't seem likely. 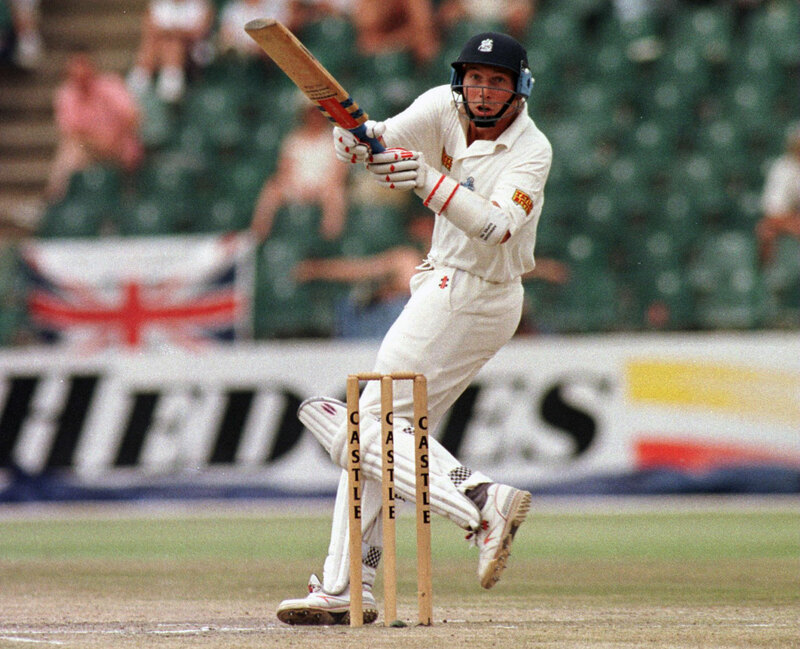 Skipper Mike Atherton, however, produced one of the greatest innings of all time with his unbeaten 185 - he batted for close to 11 hours with vital contributions from Robin Smith (44) and and keeper Jack Russell, who batted four and a half hours for his 29, as England earned a hard-fought draw. This wasn't much of a contest, really. England were four down for just two runs only 3 overs into the match, and were bowled out for 122 and 260 while South Africa racked up 403. 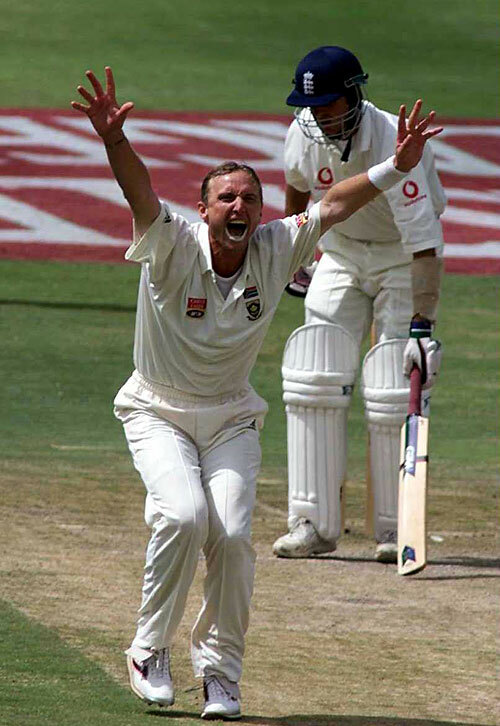 Allan Donald and Shaun Pollock picked up 19 English wickets between them in a mesmerizing dual exhibition of pace and swing. 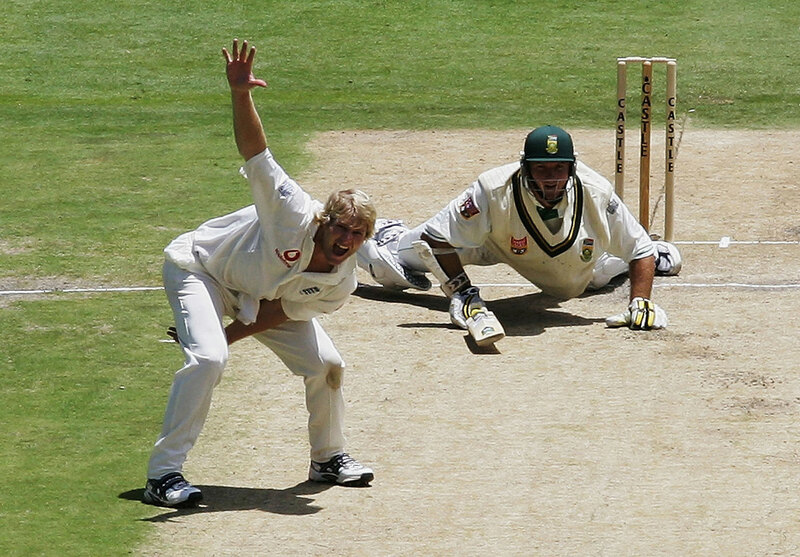 Andrew Flintoff, rebel that he is, was dismissed by Paul Adams as South Africa won by an innings and 21 runs. A much more competitive run-fest followed at the Bullring this time around. An opener was the top scorer and anchor in each of the four innings - Andrew Strauss (147), Herschelle Gibbs (161), Marcus Trescothick (180) and Gibbs again (98) scored freely as the Test appeared to be heading for a draw, but it was a bowler who changed the course of the game. Matthew Hoggard ran through South Africa with his masterful swing, taking 7-61 to take his tally for the match to 12 wickets, giving England a 77-run win with only 7 overs to go. This time, the Wanderers was the stage of the series finale, the fourth Test of a four-Test series, and South Africa went into it holding a 1-0 deficit, thus needing to win to avoid a series loss at home. It turned out to be a relatively easy task as they wrapped it up with 5 sessions to go, winning by an innings and 74 runs. Paul Collingwood was England's lone positive from this match, topscoring in both innings (more remarkable in the second innings when he made 71 and the next highest was Strauss' 22), supported for a while by hit-and-giggle cameos from the lower order. 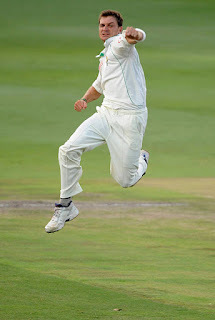 For South Africa, Dale Steyn and Morne Morkel took 14 wickets between them, but it was an efficient team effort overall. Two top teams, the world-best fast bowler, some of the world's best young cricketers - these all add up to eye-catching cricket, this is not a tour you'd want to miss. Thanks to the Bidvest Wanderers, I have 2 tickets to the Test between South Africa and England at the Bullring! It starts January 14, 2016, and if you're planning to head down to Johannesburg to catch the action, this is a good opportunity to get your hands on the tickets (of which there aren't many left). To enter, send an email to cricketnerdblog@gmail.com with "Wanderers Contest" as the subject, and include your name in the message. For an extra entry in the contest, tweet about this article (with a link) and add your Twitter handle in the message when you send the email entry.